Check out all of these awesome specials going on in October! Purchase retired items - such as ribbon, Designer Series Paper, Embellishments, Punches, Rub-ons, scrapbooks and MORE - at a super reduced price - more than 50% off!! 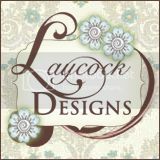 To find the clearance rack items, click here to my Stampin’ Up! online website. Reduced items are sold on a first come – first serve basis and when an item is depleted, it will no longer be available. So don’t delay – check it out soon! These products must be ordered online. Buy two Simply Sent Kits and get a FREE coordinating stamp set! Our Simply Sent Kits are the ideal choice for the beginning crafter or for someone who wants to create beautiful cards in a short amount of time. The card kits offer a variety of basic themes, so it's easy to create cards for any occasion. If you've been looking for an opportunity to do what you love, while getting a 20% discount on your favorite products, now is the perfect time! During October, you'll get a FREE Big Shot or $100 in additional Stampin’ Up! 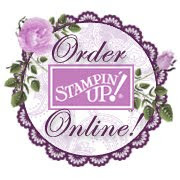 product when you join the Stampin' Up! Family as a demonstrator. The new-demonstrator Starter Kit–a steal at just $175–contains over $345 worth of stamp sets, card stock, ink, accessories, and business supplies-everything you need to start your new business. • A 20% product discount! • A free monthly issue of Stampin' Success - Stampin' Up! 's Demonstrator-only magazine. • Sneak peeks at brand-new products! • Invitations to exclusive Stampin' Up! events! • Regular get-togethers to stamp! • Free access to an online community of 30,000+ crafters/stampers and creative artists, as well as 160,000+ project samples! • Plus, access to an exclusive video and training for your new Big Shot! The easy-to-use cookie stamp has a solid wood handle with three interchangeable stamp images: a heart, a jack-o-lantern, and a snowflake. Just make your favorite shortbread cookie dough (or one of the two included recipes) and stamp away! Create beautiful, hand-stamped cookies in a flash. The stamp images are completely food-safe and child-friendly. Item #125152 includes solid wood handle with three interchangeable stamp images, two recipes, and tips for use for $16.95.